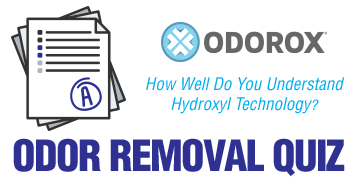 Odor Removal: How Well Do You Understand Hydroxyl Technology? Think you know everything there is to know about hydroxyl generators, and the odor-removing ions they produce? Take this quiz to test your knowledge, then share with your team to see if they can match or beat your score!